We’re lucky to have a community of volunteers and we couldn’t do what we do without them. Volunteering is a great way to connect with the community and make a positive difference to the people you will meet. Meet some of our volunteers below. I moved to Taranaki from Australia in 1997 following my husband Gene (who is blind) and we both got onto our local Blind Foundation community committee. It was my way of giving back to the community for blessing us with our guide dog. In 1998, I also became secretary/treasurer, and over the last 16 years or so I have been honoured to be able to assist blind and sight-impaired people to become more independent. Whether it’s setting up audio description on a TV, reading out information to a member or teaching someone how to use TIS, my greatest reward is when a member smiles and says thank you! Narelle received the Volunteer Recognition Award at the first ever Blind Foundation Star Awards 2013 for her outstanding contribution. Clarice Anderson is a client of the Blind Foundation. She was born blind and, after a few operations as a child, she managed to regain a little sight in one eye. She has a lovely guide dog Shaz (her fourth) and the two of them are well known in the Waipukurau community. Clarice has been volunteering for the Blind Foundation since 1962. In 1970, she took a role with the member community committee (as it was called then). 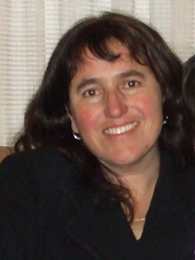 Now she is the co-ordinator of the Central Hawke’s Bay Client Support Group. Clarice also is the volunteer co-ordinator for the Central Hawke’s Bay area for both the Blind Week and Red Puppy Appeals. Last year, she was also appointed as the Hawke’s Bay/Gisborne Guide Dog Consultant. For the last eight years, Clarice has also gifted her time to help others to learn Braille. She teaches each person according to their needs so that they learn to the level that they would like to. 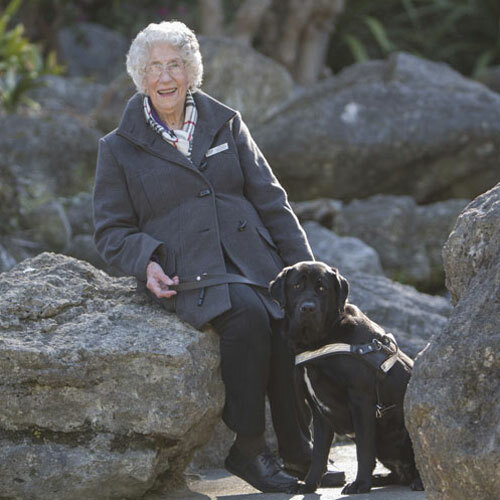 The Blind Foundation is very fortunate to have a wonderful volunteer like Clarice working so very hard in the Central Hawke’s Bay Community on our behalf. Grant Beaumont, who has been with us for three years, visits our members to teach them how to use the DAISY player. We’ve recently trained Grant up to to take on an exciting new role as a Booklink app volunteer, so he can teach people how to use the app. Bryan has been a volunteer driver for more than twenty years. Over this time, he has driven young members who are now adults. 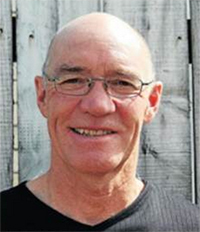 Bryan likes meeting a variety of members and enjoys listening to their interesting stories while he is taking them around Auckland city. He is also the in house expert on how to get to the various eye clinics and where to park. He shares his knowledge with new volunteer drivers by taking them on a recce.